From The President: Parish Resource Center Renamed! 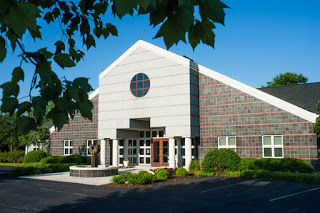 Three years ago, Homestead Village was blessed to be able to purchase the Parish Resource Center building from the organization which gave the building its name. Due to the fact the Parish Resource Center organization continued to lease a portion of the building, that name and a shortened version, PRC, have been used interchangeably as a short-term name for this very important structure at the crossroads of our community. 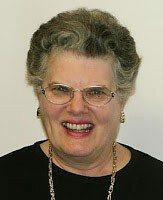 Named for Homestead Village and long-time Lancaster resident, Mary Ellen Bachman, in honor of her generous gift to the capital campaign back in 2007-08, The Bachman Center fulfills Homestead Village’s naming promise that was originally slated for the construction of a new auditorium. While a new auditorium is still on the plans for future construction, the Parish Resource Center allows Homestead Village to honor Ms. Bachman with the naming of one of the most important buildings at Homestead Village. 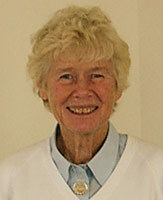 Mary Ellen Bachman is a graduate of Penn and a retired Anesthetist at Lancaster General Hospital. Likewise, two other Homestead Village families donated to the capital campaign for meeting rooms and their names will grace rooms in The Bachman Center. The two rooms off of the main hall will be known as The Hungerford Room and The Mumma Room. 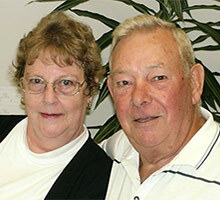 Charles and Nancy Hungerford have been residing at Homestead Village for over ten years. Both Charles and Nancy worked in education. 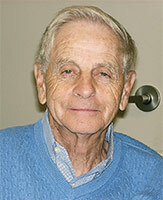 Charles retired from the School District of Lancaster and Nancy from Millersville University. Harvey and Melinda Mumma lived in Lancaster where Harvey owned a construction company. It is exciting to honor the contributions of Homestead Village stakeholders in this fashion and know that their generosity will be remembered in a very public manner.